Like a challenge? Take a prompt. Set a deadline. See what happens. Your polished and original work in response to our prompts can be published! If you'd like to submit a response to one of the prompts below, please send your responses to affinitycolab@gmail.com. Older prompts can be found in our Inspiration Station! Check it out! 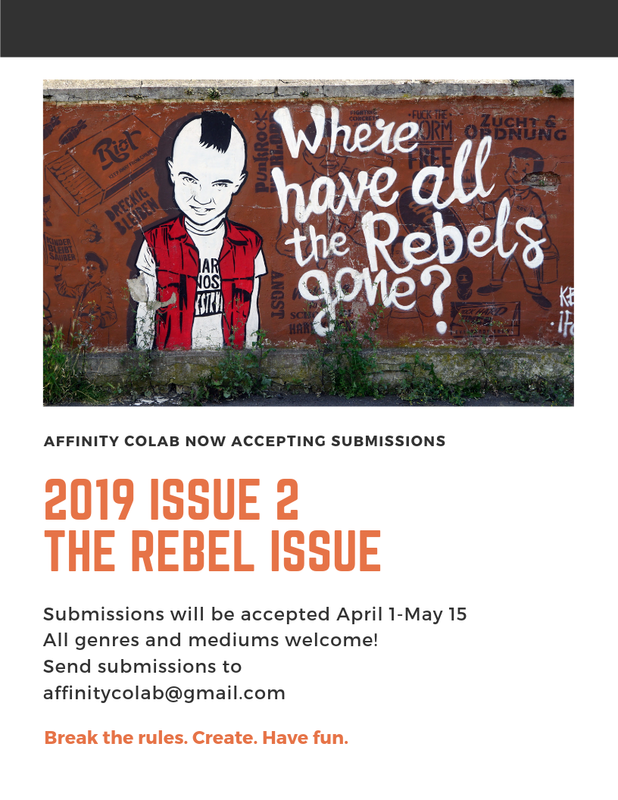 The main goal of Affinity CoLab is to inspire, connect, and create a space for artists and writers to share their work without paying submission fees, dealing with politics, or writing cover letters/the dreaded artist statement. We let the work speak for itself. We do not own the work submitted to us. We will take down work if an artist wants to publish in a different forum. This is the place to work. To do. To create. Please join us.